Acoustic batten systems are commonly used to reduce floor sound transmission and are used in a wide variety of applications for both concrete and timber acoustic floor installations. JCW Acoustic Flooring supply and install a variety of high performance acoustic batten systems. Whether working to Robust Details or Pre-Completion Testing, JCW have the acoustic batten system to suit your needs. JCW80C Acoustic Battens have been designed for use on concrete sub-floor. They can be used within new build and refurbishment projects. 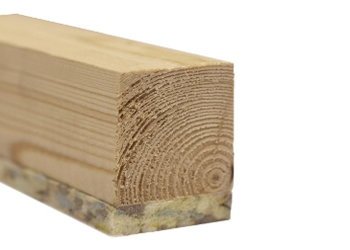 JCW80T Acoustic Battens are primarily used on timber sub-floors and can be used within new build projects and refurbishment projects. The JCW50C Acoustic Batten system is designed for use on concrete subfloors. They can be used within new build and refurbishment projects. 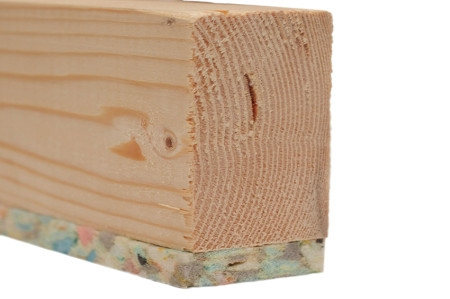 JCW Acoustic Battens have a 10mm pre bonded resilient layer which is made from open cell, recycled polyurethane. The battens offer an exceptional reduction in impact sound whilst maintaining a high compressive strength, JCW Acoustic Battens systems can be used with most floor finishes and are ideal when accommodating services within the floor void. Our acoustic batten systems are ideal for reducing airborne and impact sound in multi-storey buildings and can be used on new or refurbishment projects. The JCW acoustic battens have previously improved the acoustic flooring system in universities, hotels and student accommodation. Acoustic Battens are available as standard batten sizes of either 50mm or 80mm however other batten sizes are available on request. JCW80T Acoustic Battens are the perfect solution if you are working to Robust Details E-FT-1, E-FT2, E-FT-3 or E-FS-2. JCW80C or JCW50C Acoustic Battens can be used when working to E-FC-1, E-FC-2, E-FC-7 & E-FS-1 of the Robust Standard Details. JCW have been installing acoustic flooring systems since 2004. For advice on choosing the best acoustic batten system for your project or for the price of an acoustic flooring installation please call us on 01204 387 029. What is an Acoustic batten? Acoustic Battens are used within a number of different floor constructions. They can be used for both concrete and timber floors and are an excellent way of reducing the transmission of both airborne and impact sound. JCW Acoustic Flooring can supply a wide range of batten systems to suit any project. Do Acoustic battens meet the robust detail requirements? There are a number of batten systems that comply with a wide range of Robust Detail specifications. Whether you are building a timber frame building working to Robust Detail E-FT-1 or constructing an In-situ concrete slab on metal decking to E-FS-1, JCW Acoustic Flooring can supply and install the correct acoustic batten system to ensure compliance. Are acoustic battens difficult to install? Acoustic battens systems should only be installed by a competent acoustic flooring installer. JCW Acoustic Flooring can supply and install acoustic flooring nationwide, please get in touch for a quotation. Over what flooring can acoustic battens be laid? Acoustic batten systems can be installed over concrete, timber and steel floors. However, as stated in BS8201:2011 it is important that the floor is flat and level. Copyright 2019 JCW Acoustic Flooring - All rights reserved.